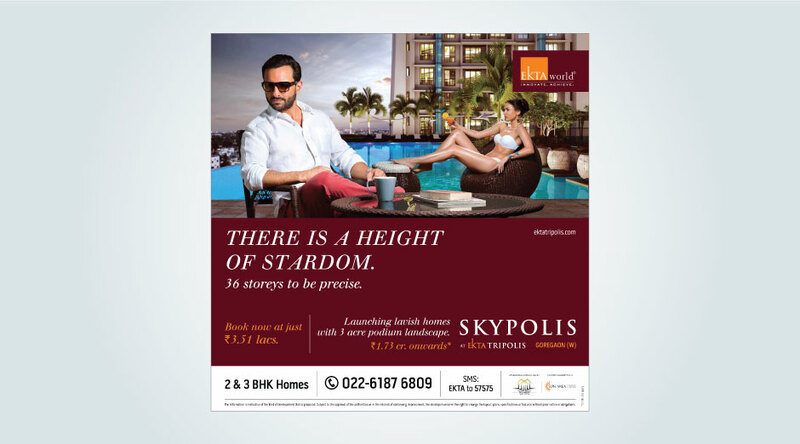 SKYPOLIS – the third tower at Ekta Tripolis, Goregaon (West), had to be launched with a unique positioning. 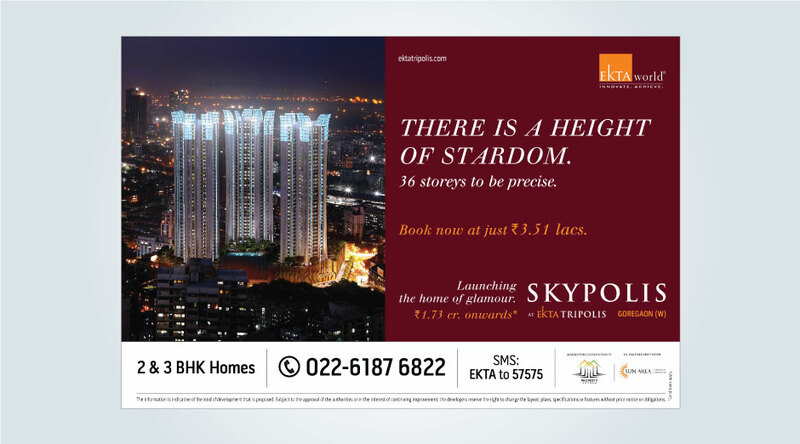 Ekta World, one of the leading developers in Mumbai recruited the services of Young to position and create all communication material for this project. 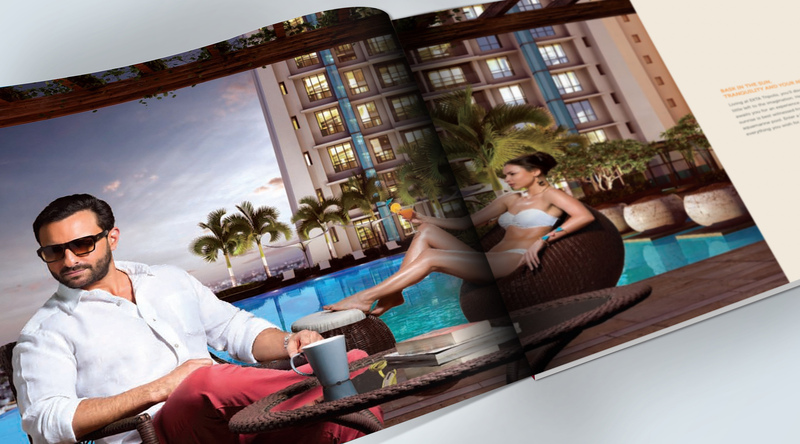 Goregaon as a micro market, is a hot bed of premium luxury developments. 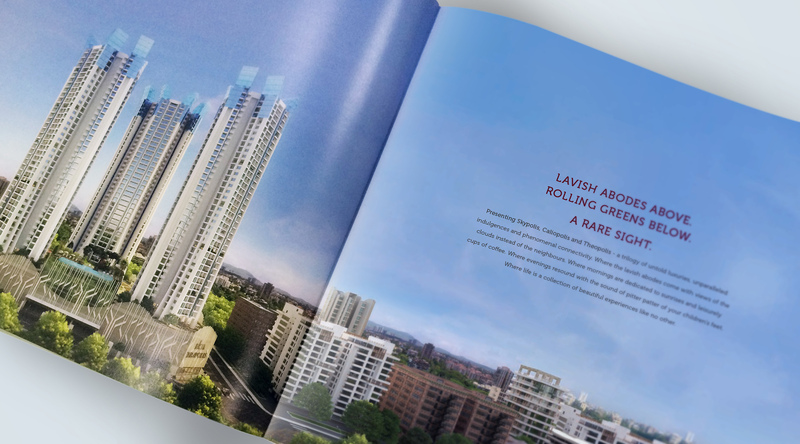 Major real estate developers such as Oberoi Realty, Lodha, Kalpataru and Suntek have launched projects that cater to the upper middle-class ranging from $ 266000 to $ 400000. All these competitors produce parity products which also target similar consumer segments. 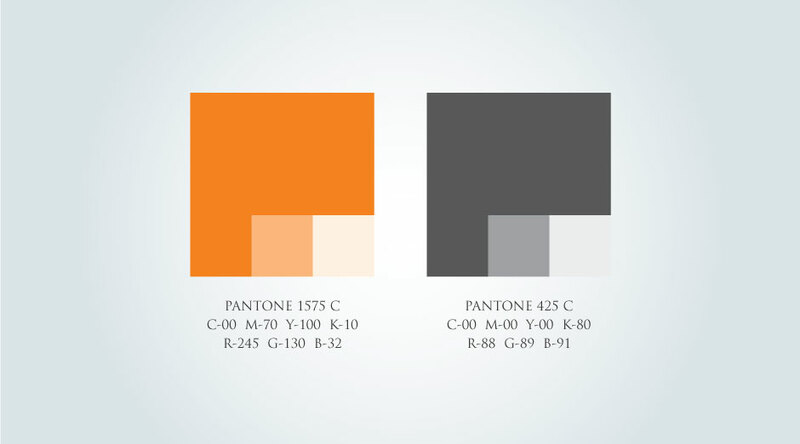 YOUNG had to face the challenge of identifying a positioning for the product as well as crafting its communication. 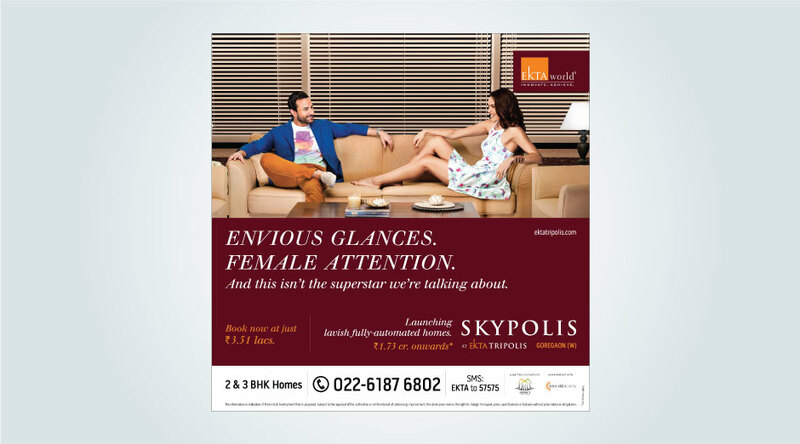 During a research conducted, it was learnt that several celebrities and TV stars aspired to live in and around Andheri, Lokhandwala. 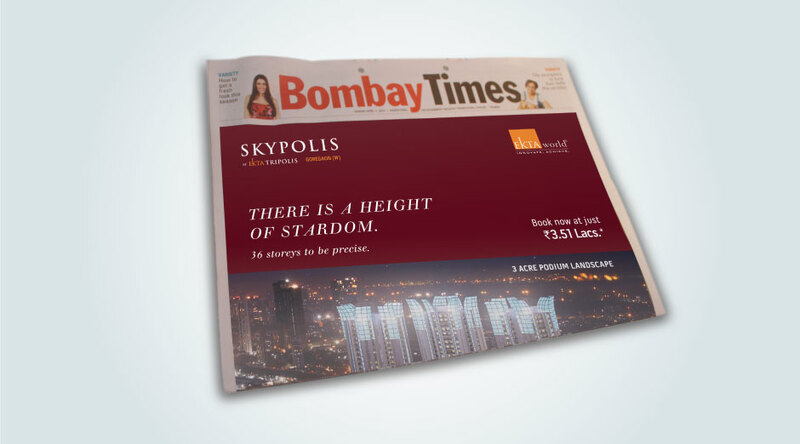 However, the price for Andheri, Lokhandwala had seen a steep rise resulting in unaffordability within mid-level celebs/stars. We decided to position our project around “Live the glamorous life“. 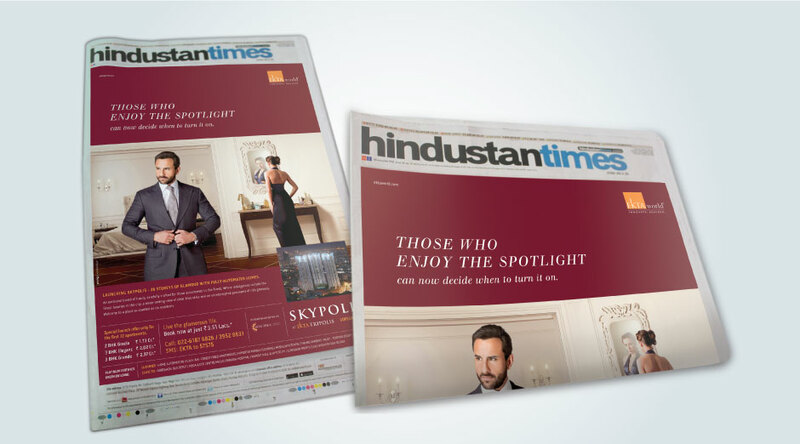 To further strengthen this positioning, we got Saif Ali Khan to endorse the brand. 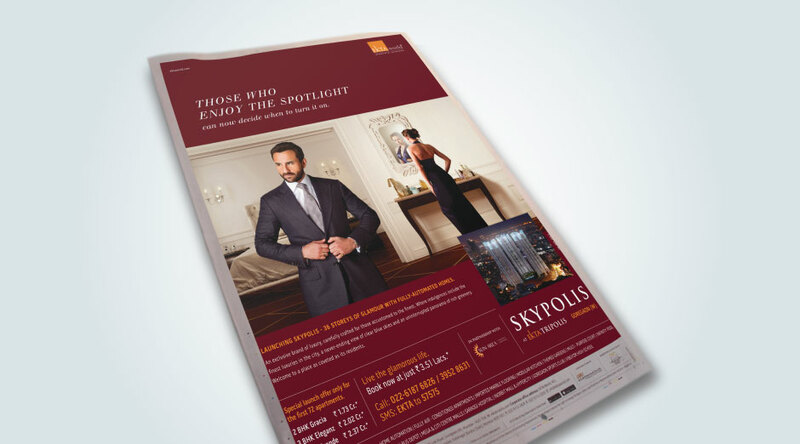 This positioning immediately enabled us to attract the relevant target audience to include Skypolis in their consideration set, along with the other premium developments as mentioned above. Our value proposition made it more attractive for deal closures. 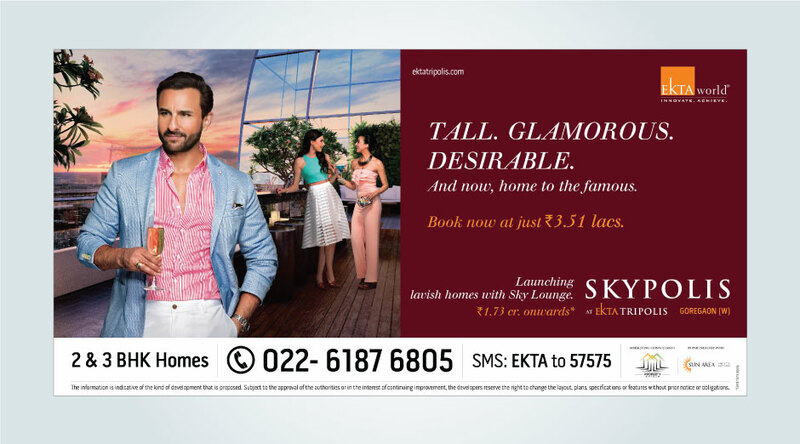 There was a positive rub off for the mother brand – Ekta World. 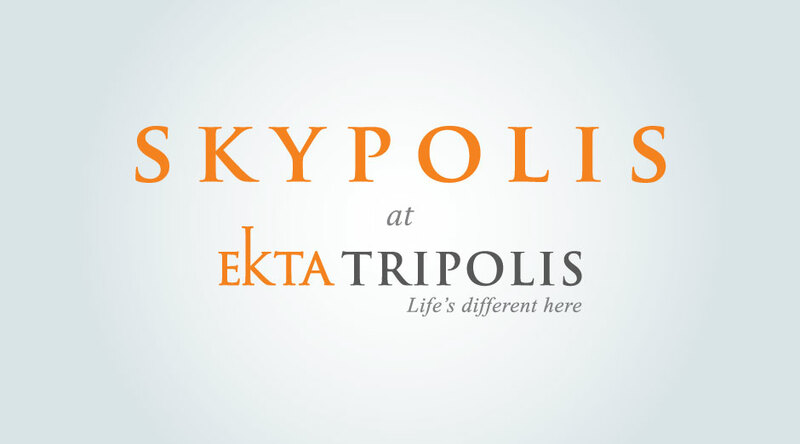 Naming, Branding, Identity & logo, Advertising, Marketing material & Brochure, Sales Lounge Branding.